At Phuong Nga Toys (PNC Toys) we not only deal in toys and children’s products, but the bigger goal is that we are selling ‘happiness’, selling ‘dreams’ and selling ‘love tightening stuff between parents and children’. 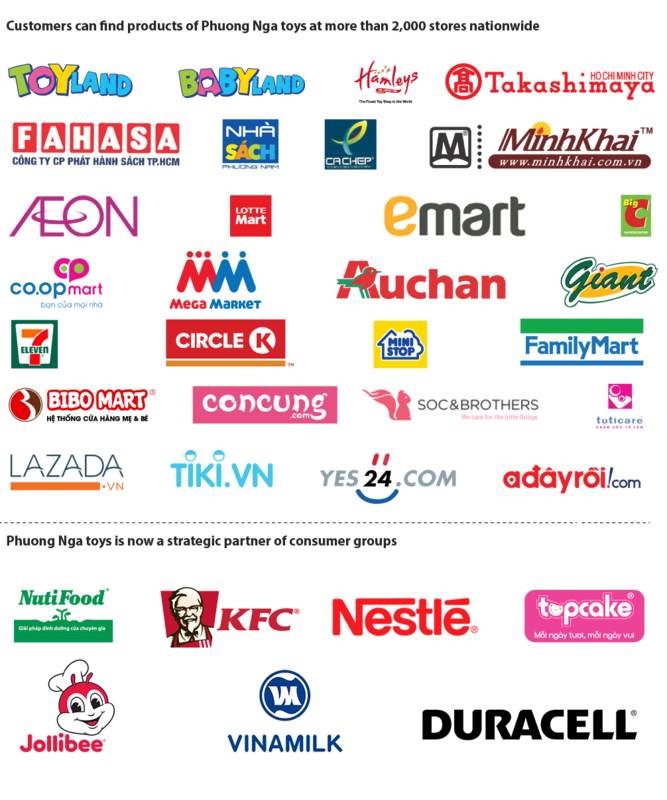 From the world’s leading toy corporations, products PNC Toys distributing are known as international brands, high quality, values for development and comprehensive education for children. As one of the leading companies in the field of distributing toys and children’s products, PNC Toys understands that safe quality of products is an important criterion for building trust, long-lasting engagement with customers. PNC Toys is a partner of more than 1000 selling points including supermarkets, bookstores, convenience stores, toy shops, maternity and baby equipment stores nationwide. PNC Toys goes together with the success of our customers.